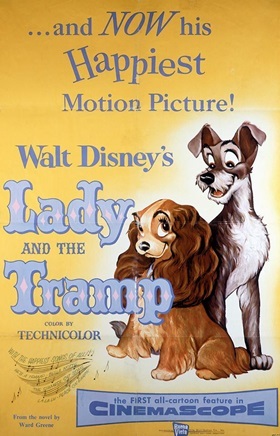 The first animated film to be made in widescreen cinemascope (and the widest film Disney has ever created). Based on the short story Happy Dan, The Whistling Dog by Ward Greene. An allternate 1.33:1 full screen "academy ratio" version of the film was also made simultaneously. Originally Walt Disney didn't want the famous 'Bella Note' spaghetti-eating scene in the film.